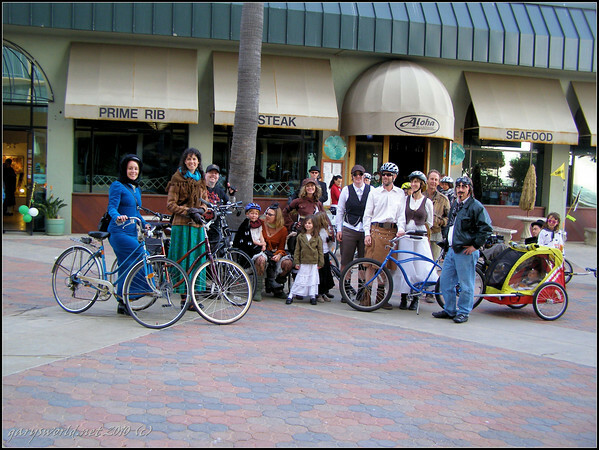 Steampunk Bicyclists Swarm Main Street! 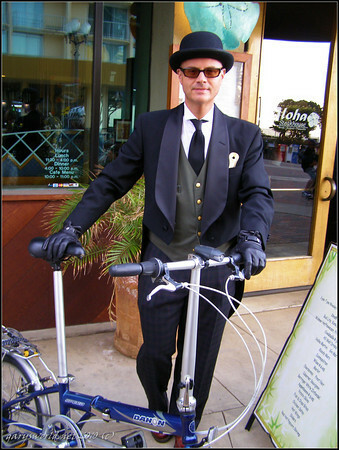 That’s right, last night nearly 50 bicyclists, many in Steampunk attire, swarmed the Westside and downtown Ventura! Steampunk swarm started in midtown near the City of Ventura Maintenance yard, rolled down San Jon to the Artists Union Gallery near California Street and the Beach Promenade. There, the Steampunk swarm doubled in size, and moved along the Beach Promenade startling pedestrians and astonishing surfers. The swarm gained speed up the bike path along the Ventura River and veered onto Main Street before traveling up Ventura Avenue, generally taking the lane as no bicycle path is provided and cars have a generous left turn lane which doubles as a passing lane. 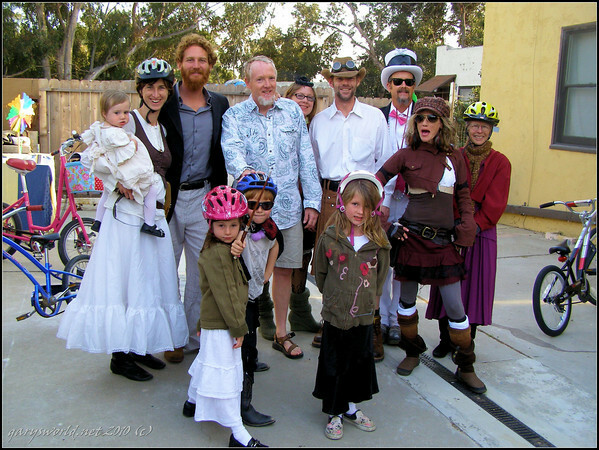 The Steampunk swarm entertained Bell Arts patrons and more FFArtRiders joined the swarm there while others peeled off. Highlights at Bell Arts included Imre Juhasz’s digitized photographs printed on canvas and at Vita, Dianne Bennett’s paintings and Borbala Arvai’s fairy habitats. 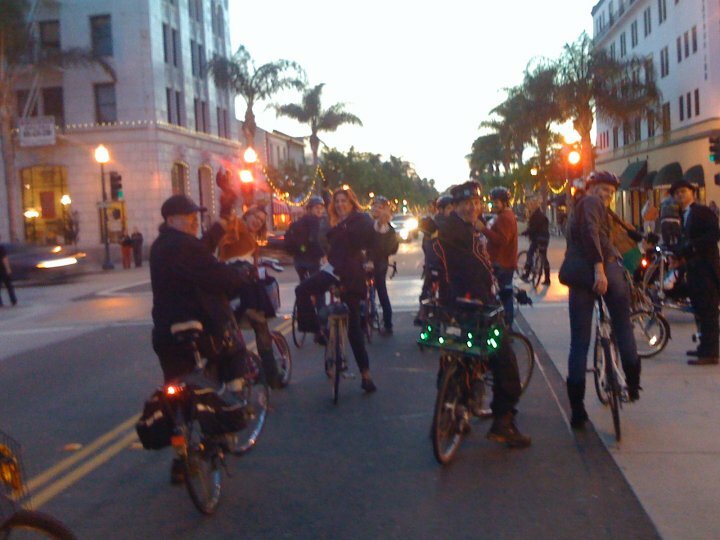 Next, the Steampunk swarm took a surprising jog around a Westside neighborhood, and came out again on Ventura Avenue to pause at the closed 643 Project before taking over Main Street for a long cruise up to Bernadette’s at Fir and back down to check out the WAV, home to next month’s ArtRide afterparty May 7.
the Steampunk swarm dispersed until April 18 when it will swarm again at the Artists Union Gallery at 1:30pm. 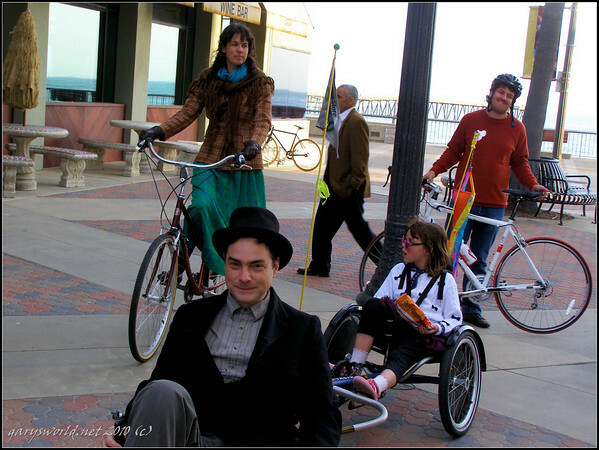 Join the Steampunk swarm for a fun ride to participating ArtWalk galleries and studios or meet us at Bell Arts Factory at 4pm for a S teampunk Fashion Show and ArtWalk afterparty! Need help getting you Steampunk on? Head over to Bell Arts Factory, 432 N. Ventura Avenue. For the next two weeks, from 3-5pm on Tuesdays and Thursdays, Bell Arts is offering FREE workshops. 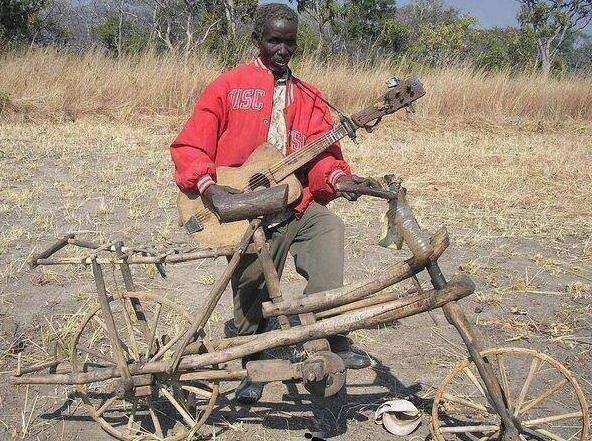 Bring possible outfits to wear on the bicycle ride or in the fashion show and the talented artists there will assist you in styling. Sessions in over-dying and screen printing Steampunk motifs are in the works. PS Thanks to Gary Stevens for taking so many great pictures last night and for getting them so quickly on his site, Gary’s World. Thanks, to Gary also, for permission to post them here. 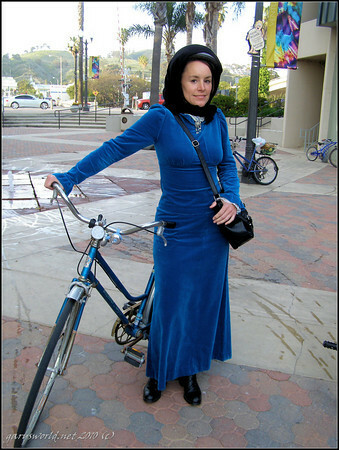 All but the very top photo and the one on Main at night are by Gary; Jenessa Nye provided those two. Please don’t copy (steal) these images or others (or text either)–ask first. 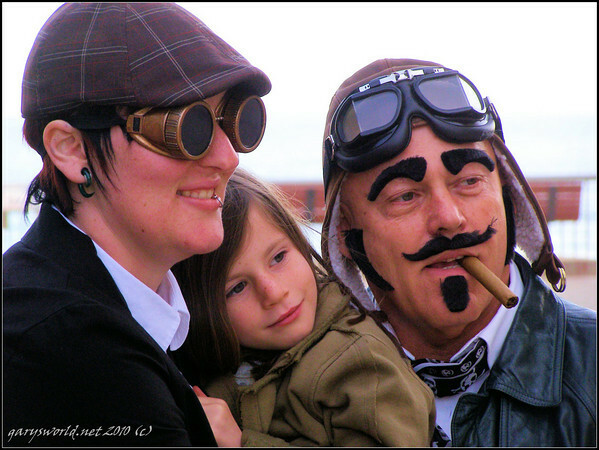 ← Getting Our Steampunk On!